Read more: What Artificial Intelligence Can Do? Opera is always innovative and comprehensive browser which stands out as a reference. Its speed, its many features, interface and now the arrival of extensions and highlighting its strengths could make him win market share with the public. To discover them, you will not regret it! 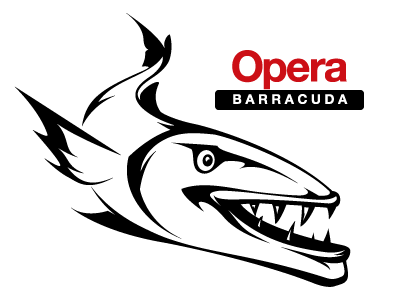 “Barracuda” is also the code name of the upcoming 11.10 version of the Opera browser. This is the first of a series of Opera versions where each one will have an associated code name. Opera runs on a variety of personal computer operating systems, including Microsoft Windows, Mac OS X, Linux, and FreeBSD. Editions of Opera are available for devices using the Maemo, BlackBerry, Symbian, Windows Mobile, Android, and iOS operating systems, as well as Java ME-enabled devices. Approximately 120 million mobile phones have been shipped with Opera. Opera is the only commercial web browser available for the Nintendo DS and Wii gaming systems. Some television set-top boxes use Opera. Adobe Systems has licensed Opera technology for use in the Adobe Creative Suite. The free Opera browser and platform is still required as a reference in a highly competitive field. As teams of Google Chrome , Mozilla Firefox , Internet Explorer and Safari, the Norwegian Opera Software focuses on the integration of web standards, optimizing the loading of pages, customize the browser and of course modernization of the interface more simple and ergonomic. Noteworty to mention Håkon Wium Lie, chief technical officer of the Opera Software company is also the co-creator of the CSS web standard. However, Opera is still characterized by the integration of many ideas and innovations such as the ‘Turbo’ to compress pages to speed up their display on the small connections and make savings on 3G packages, “Opera Unite “offering the possibility of transforming the browser server to share multimedia content or hosting a forum. It is also a manager of e-mails, customer BitTorrent , the management of HTML 5 video tag and SVG filter modules of content and changing the style CSS and many personalization features like complete themes, widgets and Now extensions. There are a few new ways to provide tailored content and styling to Speed Dial entries for your own website: view-mode:minimized in CSS, the X-Purpose HTTP header, and autoreloading. You will get the needed source code from Opera team here. Free Tools For Cloud Security are to check the security in cloud environments for free, so that the users need not to pay for the expensive suites. The number of security and management solutions for cloud computing environments has increased in recent months, almost explosively. Free Tools For Cloud Security lists some better offer for free of cost. Is Everything is Safe in the Cloud ? We are representing here few popular systems and highlighting especially the security aspects of the Public Cloud services. There is actually nothing new to be said in this article on Is Everything is Safe in the Cloud, we talked about Cloud Computing Security within this website many a times, still there are things which will be said in this article named Is Everything is Safe in the Cloud, with practical examples with usage. Read more: Is Everything is Safe in the Cloud ?